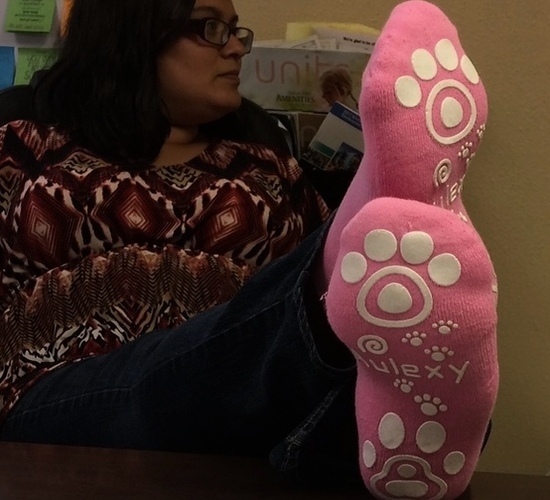 The socks arrive in four different colors; white, black, gray and pink. We liked the pink ones the best as they were the prettiest. However, basic colors are always good to have for you sock-wearing folks. 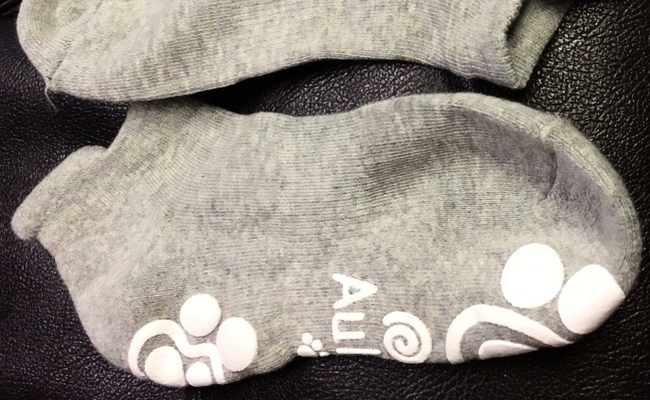 These are yoga socks and have slightly raised white (or orange on the white socks) patterns on them to assist in your grip. This is a good thing when you are sweating like there's no tomorrow. 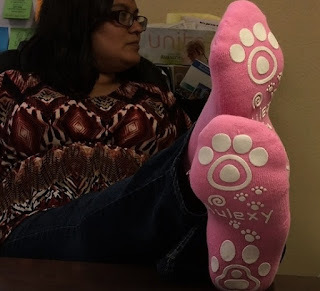 The socks are comfortable. They also have a ribbed fabric in the middle for added comfort. Finally, they are unique in shape, towards the toe which provides an extra lip to avoid uncomfortable rubbing. These are excellent for the sweaty amongst us.